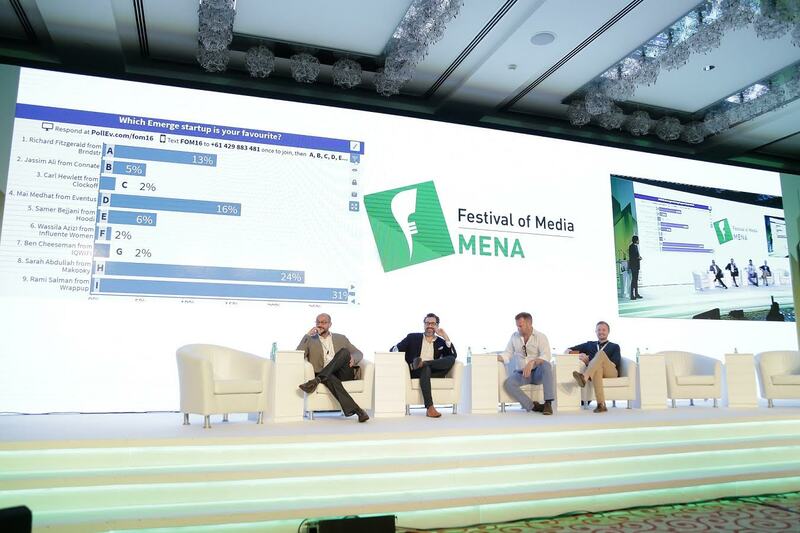 Dubai: Media professionals from across the world are gearing up for the third edition of the Festival of Media MENA, which is set to return to Dubai this week on Wednesday April 26, 2017, at the Waldorf Astoria on Palm Jumeirah. Taking place under the theme ‘Understanding Media Transformation’, the global conference and awards programme will bring together senior level executives from the world’s biggest brands, marketing agencies and media houses to discuss the latest sector trends. With a rich agenda featuring a range of insightful keynote speeches and panel discussions, delivered by 35 high-caliber speakers from global media forces, including LinkedIn, Google, Nielsen, MOAT and Unilever, the event will bring the media sector’s hot topics to life. Will Swayne, Global President for Carat, will kick off the day’s agenda with ‘Is the current agency model broken?’ – a speech that will explore what the new agency model needs to look like, how it is currently playing out around the world, what the key challenges are for the agency-client relationship and how agencies can stay relevant in the new order of media. This will be followed by a dynamic panel discussion – ‘Pitch Perfect – Learn the Best Practices for Agencies and Advertisers’ – hosted between David Indo, Co-Founder and CEO of ID Comms; Marc Ghosn, General Manager of MEC UAE; and Hani AlAita, Regional Marketing Manager at Danone. The experts will outline how advertisers can stand out within a congested media pitch market and describe the factors that really make a difference between an agency winning and losing a pitch. With market forecasts predicting that 2017 will be an even busier year for media agency reviews, the panel will also review what advertisers and media agencies can learn from the past 18 months of intense media pitch activity. Another headline keynote speech will be delivered by Aniq Rahman, President of Moat, on ‘The Attention Economy.’ Exploring attention as the fundamental core of digital content and yet a scarce resource, the speech will advocate viewability and humanity as pre-requisites to meaningful engagement and measured attention, while also questioning the antiquated metrics still being employed by the industry. Attendees will be presented with a new paradigm for measurement and transaction currency that goes beyond clicks and impressions. The third edition of the Festival of Media MENA is sponsored by Rotana Media Group, Premier Partner; Dubai Media City, Strategic Sponsor; MCN, MEC, Mindshare and OMD, Founder Partners; Marketing Society and Mobile Marketing Association (MMA), Association Partners; Event Partners including Adline, ATL, Fox Push, Free Wheel, Future Tech Media, Giga Works, Ipsos, Les Foles, MMP, Omnes Media, PR Newswire and Vfxartisan. The Cribb, Community Partner; Cicero & Bernay Public Relations, Official PR Partner; Communicate, GMR and The Media Network, Media Partners.